​In my area, April 1 is the end of third quarter: a fresh start and the home stretch for high school students. April is also the time that parents start to think about summer and what school will be like in the fall. Juniors have to consider college applications in both of these situations. and/or “soft skills” like responsibility and time management. Summer camps: Summer camps are great learning experiences. Whether you attend an academic summer camp—debate camp, coding camp, foreign language immersion with dragon boat racing, compressed AP class in an area of interest—or a sports clinic, performing arts program or even just working as a camp counselor, you can show leadership, curiosity and skill development at camp. Get a job: Working is great for getting experience in a potential major or career, plus you’re demonstrating those “soft skills” I mentioned earlier. If it’s an unpaid internship, that’s great; paid work is even better, since you’ll have that much more money socked away for college. If you’re STEM-minded, contacting universities and research labs in your area can be a way to spend the summer doing research, either paid or unpaid. 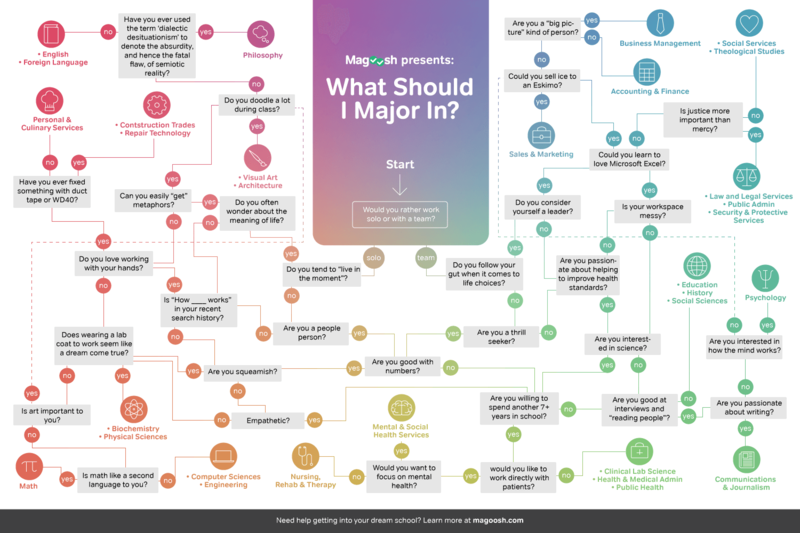 Colleges love to see students who have some background experience in their major, whether that's business or neuroscience. Volunteering/service-learning is a great way to spend your summer. You can work with kids if you’re interested in education or social work. Just want to drive around with your new license? Consider driving Meals-on-Wheels with a friend. You get to drive and hang out, as well as brighten the day of some housebound individual who really needs you. A leadership project like organizing a pool party for kids in summer daycare, a scrap drive for recycling or a performance for people in the hospital or at a nursing home looks great on a college resume. Speaking of projects: give yourself a project for the summer. Like to code? Set yourself a goal and write an app or other project. Potential business major? Create a business, or at least write up a business plan for one. Set a goal: read all of Shakespeare’s plays or A Remembrance of Things Past or Ulysses. (The Mensa Foundation’s Excellence in Reading program is a great resource for prolific readers.) Write a novel, plan and paint a mural, choreograph a dance or put on a show. Whatever you choose to do, be sure to document it. Keep a journal: either written, or through photos and video. No matter what you do this summer, be sure to have fun and stretch yourself. That way you’ll be sure to have something interesting to write about on your college essays. Good luck! "Mom, the people who run our cafeteria also run kitchens in prisons!" Not that there's anything wrong with that! While some colleges have famously good cafeteria food (St. Olaf is one), most dorm food can get a little tedious after awhile, and all that pizza and pasta can lead to the dreaded "Freshman 15" pound weight gain. How can you make that assembly line food taste a little more palatable? I'm not talking about ketchup and mustard here. Bring steak sauce and teriyaki sauce (or teriyaki steak sauce). A little worchestershire sauce can add that umami flavor that baked steak lacks. (You didn't think they had a grill back there, did you?) What about a little Sriracha for those steam-table eggs that were just about to turn green? It's entirely up to you whether you want to share your flavor boosters, but sharing is a good way to make friends in the cafeteria. Just like tucking a bottle of Lea & Perrins in your backpack will make your mouth happy, spice blends will do the same. I like Penzeys Spices for these. They have a number of blends for every taste, they come in convenient glass or plastic bottles with shaker tops and they're also easy to take along with you to the cafeteria. My sons' favorites are Sandwich Sprinkle for pasta, Pizza Seasoning (duh), Beef Roast Seasoning for beef and Old World Seasoning for chicken. You can order a set of four or eight as a gift set. The Kind Heart gift set has a nice assortment for those who can't decide what to pick. Now imagine it's winter, and the cafeteria requires a walk through the snow or the rain for food that's not so spectacular anyway? Or you end up studying late at the library and don't get home until after the cafeteria closes? Wouldn't it be nice to be able to cook something for yourself, when you're hungry? Most, if not all, college dormitories forbid open flames or heating elements in the dorm rooms. This means no hot plates, no rice cookers, no toasters, no toaster ovens and, many times, no coffee maker. (Don't worry, caffeine addicts, there will be at least one coffee shop on campus.) Most dorm rooms are small enough that small electric appliances would just be in the way anyway. What you cannot live without are a dorm-sized fridge and microwave. TOP TIP #3 Check with Housing Office what size fridge/microwave is acceptable before you buy! There's nothing worse than dropping a couple hundred dollars on a fridge only to have it taken away on move-in day. This information is usually on the "What to pack" list, but if it's not, it will be somewhere on the website or in the housing packet. Decide with your new roommate in advance who is going to bring the fridge and who will bring the microwave. When choosing a fridge, look for one with a separate door for the freezer compartment. That will help keep your frozen foods frozen no matter how many times the door gets opened. Microwaves are easier; they only need to fit the required wattage. However, if you have a microwave, you need microwave dishes to cook in. I'm going to recommend three Pampered Chef products, simple because I've been using mine for 15 years and they're still perfect. The Small Micro-cooker holds 1 quart of soup or ramen and has a strainer lid for pasta, mac-n-cheese or steamed vegetables, or to let steam escape when popping popcorn. The Large Micro-cooker holds two quarts and also has a strainer lid, for larger servings of whatever. And the Rice Cooker holds three quarts so makes up to 9 cups of rice at a time. Amazon reviews would have you believe it can cook a whole (small) chicken. I have not tried that, but you could certainly steam a chicken breast in there (or in the large micro-cooker) if you wanted. As I mentioned, I'm calling out Pampered Chef because that is what we've used, and what I sent my boys to college with. The links and pictures are from Amazon, but you may well be able to get a better price from eBay or your local Pampered Chef consultant. Amazon also offers a number of other versions of these products. In addition to the cookers, you'll want to have a mixing spoon and spatula of some kind available. The cookers can double as mixing bowls, and they nest to save space under your bed. I've seen kitchen set-ups that run the gamut from a single kitchenette for the whole residence to two fully-stocked kitchens per floor. If you have the luxury of a fully-stocked kitchen, you probably won't need the cookware until you move out on your own. If the kitchen is lacking or inconvenient, sometimes it's nicer to heat a can of Spaghettios in your room instead of running down to the kitchen. Btw, both these kitchens are at the same college. The difference is the age of the dorm. How about you? Do you have any must-haves for eating in the dorms? What about favorite recipes that require no heating elements? Leave a comment below, then check out my Dorm Cooking Pinterest board, and feel free to add links to your favorite recipes! Perfect standardized test scores and grades are not enough to gain entrance to the most selective colleges. Due to grade inflation and test prepping, quantitative perfection is becoming commonplace. To be successful, you must also show the school what kind of person you are. This is why getting the admissions essay right is so important. While the undergraduate essay is the focus of many books, the graduate school essay is equally, if not more, important to your acceptance into graduate level programs. Colleen Reding has helped to fill that gap with her new book Grad’s Guide to Graduate Admissions Essays, published by Prufrock Press. This collection of essays provides grad school applicants with models of successful medical school personal statements as well as successful essays from law school, business school and general graduate school students, all of whom attended Georgetown with Ms. Reding for their undergraduate degrees. Why do higher education programs even ask for essays? A good essay will give a sense of who you are as a person, and what you may contribute to the school’s student body. Are you a leader? Do you have an interesting background? Are you able, and willing, to make a contribution to the intellectual and social life of the college and the particular program to which you are applying? The examples in the book go beyond the standard “I have always wanted to be a lawyer” and “I really just want to help people” essays, instead weaving personal experiences into the story of why the applicant is the ideal candidate for admission. Readers will get a good sense of what competitive graduate programs are looking for in applicant essays, and models they can use when drafting their own. Equally helpful are the writing tips provided throughout explaining why the essay was particularly effective—writing style, use of theme, choice of examples, approach to the prompt, etc. I especially like the notes about using a unifying theme for your essay. Don't believe them when they say the writing is fantastic, however. A word to the wise: if every noun needs an adjective to make it sparkle, you should use stronger nouns. TALK BACK! Have you read this book? Did you find it helpful? Let us know in the comments!